NIA CHARLESTOWN NEVIS (December 15, 2014) — The following is the full text of a statement made by Premier of Nevis Hon. Vance Amory regarding the status of a double salary payment to Civil Servants on Nevis. “My Fellow Nevisians and Citizens of St. Kitts and Nevis, I speak to you this evening not to create any divisive situation but rather to set the record straight and to provide for you a synopsis of the situation as it relates to the payment of the double salary on the 19th of this month. I take no great pleasure in reiterating what I am about to discuss with you but it has to be done. On Tuesday 9th December, 2014, Prime Minister Douglas declared an extra month’s salary payment to all Civil Servants. My Cabinet supports this extra salary for our hard working Civil Servants in Nevis, in addition to those in St. Kitts as well. We are well aware, of the attempt at deception in which Dr. Douglas engaged while making that announcement in Parliament, when he indicated, that he wanted to pay not a double but a triple salary but he was “cautioned about this by the Premier and he listened”. It may have been said in jest but the impression was given, that I told the Prime Minister, that he should not pay a triple salary. It may not be necessary for me to reiterate that I raise this matter with the Prime Minister in Parliament, in order to remove all doubt as to what transpired when I sought to say in giving the Third Quarter Report on the operations of the Nevis Island Administration [NIA], that were a triple salary to be paid, it would be a challenging situation for the Administration and that is the truth. My fellow citizens, we are also aware that after that statement, the discussion which took place in Parliament on the evening of Thursday 11th December, when I challenged the authenticity of this statement by Dr. Douglas, seeking to blame me for his callousness and his cavalier approach to governance. You would also be award for my call for some SIDF resources which is derived from the proceeds of the Citizenship By Investment [Citizenship By Investment] programme, to be transferred to the Nevis Island Administration to cover the coast of the extra month’s salary. I believe all of us know that my request was reasonable and justifiable but I was told that the NIA would have to secure a loan to make that payment. My Fellow Citizens, we are fully aware, that the Federal Government receives significant resources as a result of the fees from the CBI programme, estimated in 2013 to be in excess of $240 million to fund its day-to-day expenditure of government. Nevis on the other hand, receives none despite numerous promises. It is also interesting to note, that prior to my Administration’s coming to office in January 2013, Nevis, under the former NRP Administration received budgetary support, albeit in an irregular manner. In January 2013, the very month of the election, an amount of $3.5 million was received by the former NRP [Nevis Reformation Party] led NIA. In 2012 the amount of $11.2 million was also received by the former Administration. This was abruptly stopped once my government assumed office. The only amount received from this pool of funds in 2014 is $4 million for the CDB [Caribbean Development Bank]/NIA Water Enhancement Project and you would remember, that in September of 2013, we received a grant from the SIDF [Sugar Investment Diversification Fund] of $4.7 million to cover the cost of a double salary at that time. It therefore tells me and must be noted by all Nevisians, that Nevis’ access to the SIDF [Sugar Investment Diversification Fund] resources is not based on any sound policy but instead, it appears to be based on the Prime Minister’s own decision as to which party he would wish to have occupying the seats of government in Nevis. This is not a tenable position and our people need to recognise that the people of Nevis have been treated and used as a political tool by the Labour/NRP [Nevis Reformation Party] Federal Government and this is an untenable position. On Friday 12th December, the Permanent Secretary in the Ministry of Finance wrote to the Federal Government asking for a disbursement from the SIDF in the amount of $4.7 million to defray the cost of the double salary. This request has not yet been honoured and the NIA is forced to make arrangements, to ensure that our hard-working Civil Servants receive this double salary when pay-day is due on Friday. The question now must be – why should the Civil Servants in Nevis be treated differently? Are we not equal citizens of St. Kitts and Nevis? And shouldn’t we have the same equitable access to the resources of the proceeds of the CBI programme? I would like all Nevisians irrespective of their political persuasion and especially all Civil Servants and their families, to understand and to appreciate the existing situation at hand. 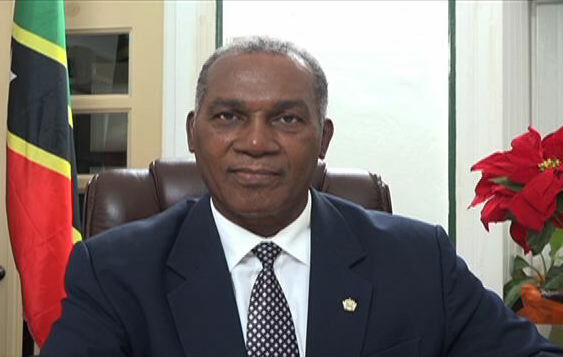 Put simply or put bluntly, your counterparts in St. Kitts are receiving a double salary, no fuss, easy because the funds are there generated from the Citizenship by Investment programme and whether it comes from the SIDF as resources granted to Government of from resources generated by the CBI in terms of fines and fees for the Federal Government. It is a contribution which is financed by the CBI whether directly or indirectly while the People of Nevis, through your NIA, is denied access. This cannot be fair nor is it equitable. It is a blatant disregard for the NIA and the people of Nevis. You will remember also, in the wrap-up session of Parliament, I missed it sadly but I listened to some of it, it was quite intriguing to note the comments of the Prime Minister Dr. Douglas, when he indicated that he would be willing to guarantee an overdraft at the St. Kitts-Nevis- Anguilla National Bank, to provide the resources to fund the double salary payment for our Civil Servants in Nevis. Dr. Douglas is fully aware, that our previous request to the said Bank for an overdraft facility as late as October 2014 was not met with a positive response. The fundamental question for all Nevisians and Kittitians, must now be why should the NIA have to borrow and increase its level of indebtedness, to fund this extra salary payment when the Federal Government is not borrowing any monies by way of overdraft but instead is using the proceeds from the Citizenship By Investment Programme or put baldly, the sale of passports of St Kitts and Nevis through its monthly budget support from the SIDF or from direct contributions from the programme and it is this funding which will be used to provide a similar payment to Civil Servants in St. Kitts. My Fellow Citizens, this position by Dr. Douglas the Prime Minister, is totally unacceptable and must be rejected by all right thinking Nevisians and Kittitians at home and abroad. On Behalf of the Government and people of Nevis, I categorically reject this approach to governance of our country. It is the recipe for division. It is a recipe for engendering hatred and strife between the citizens of this country. The people of Nevis deserve better and I am demanding, even at this late hour, that this matter be given due favourable consideration and the request from your CCM [Concerned Citizens Movement] Administration which we have made for support for the double salary in the amount of $4.7 million. We are asking that it be transferred to assist in this payment. It would show goodwill not to the CCM Party Government in Nevis but it will show goodwill, good faith and high regard for all the people of Nevis. I thank you. As I said at the beginning, it is not intended to be a cause of rancour or rancorous discussion but rather to put the matter straight before us the people of Nevis, all of us and St. Kitts because we are seeing an in equitability in the way that resources from the CBI is being disbursed, where some benefit in great amounts and the people of Nevis through its NIA seems as if we have to scramble and scrounge to get recognition and support. Thank you. May God bless us and may good sense prevail and if I don’t get to speak to you again, I would like to wish all of us, as we look forward to the payment of a double salary, that you will use it wisely when you get it and let me say, that you will be paid a double salary, grant, support or not, your Administration will do what it has to do to ensure that the Civil Servants of this country, of this island is paid a double salary. Thank you. God bless you and let us enjoy our Christmas and let look forward to the New Year with great hope because when we read the Budget tomorrow, the 16th, there will be lots of things to look forward to.